Football is best served Southern fried. 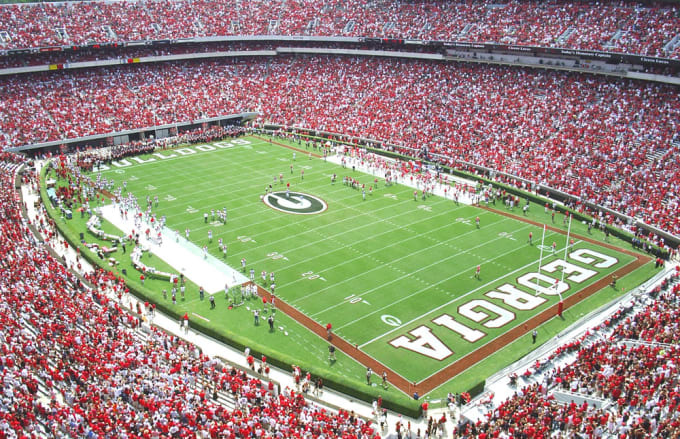 The hedges around this stadium, one of the ten largest in the country, are just about as pretty as the chicks on campus. There are enough big screens here to make the Jerry's World screens jealous. When opposing teams are in town, they feel like they're walking through a dark and terrifying valley when they're Between the Hedges.